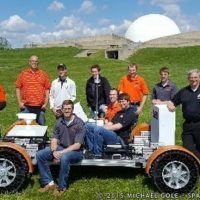 A group of engineering students from Ohio Northern University in Ada, Ohio, traveled to the the Armstrong Air & Space Museum in Wapakoneta, Ohio in Early May of 2016. 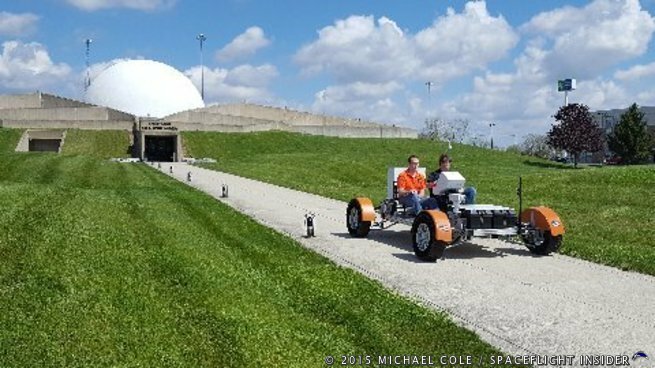 They delivered a Apollo Lunar Rover – a replica they built themselves. 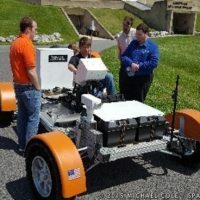 The students were marking the end of a three-year journey by delivering the rover to officials at the museum, where it will be used as an eye-catching showpiece for the museum's public outreach activities. 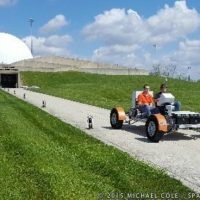 The museum that celebrates Wapakoneta's hometown hero, Neil A. Armstrong, the first man to walk on the Moon, was deemed the perfect home for the rover. 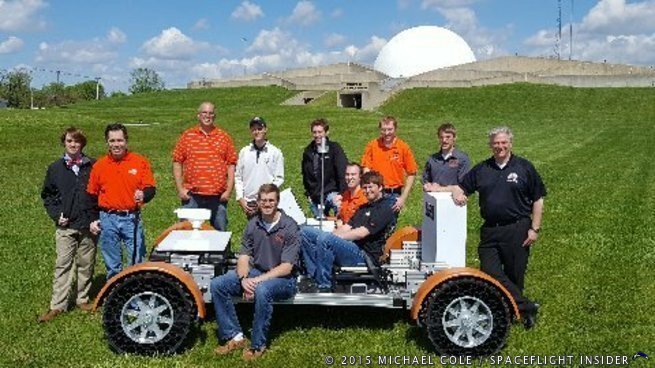 The replica Lunar Rover, or Apollo Lunar Roving Vehicle, is the product of a special program at ONU's College of Engineering. The program is called Engineering Projects in Community Service, or EPICS. 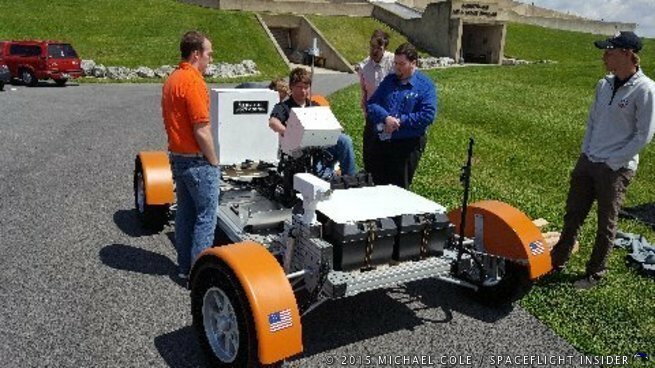 The program presents teams of undergraduate engineering students with opportunities to design, build, and deploy real systems to solve engineering-based problems for local communities and education organizations. Their past projects have ranged from upgrading the scope of community websites, to a civil engineering project to move, restore, and display a historic church bell.